Tin Cao Bui of Blossom Beauty Lounge in Redondo Beach, Calif., shows how to make this vintage-inspired polka dot design. Tin Cao Bui (@nailsbytintin) of Blossom Beauty Lounge in Redondo Beach, Calif., shows how to make this vintage-inspired polka dot design. 1. 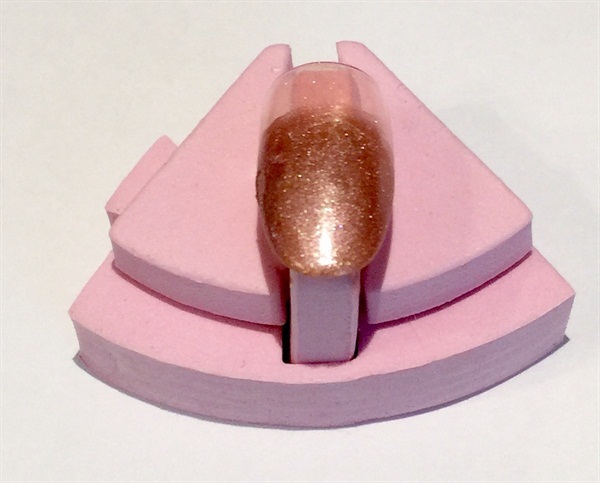 Properly prepare the nails, then apply the base coat and cure. After that, applya thin coat of Gelish Ambience to entire nail and cure. 2. 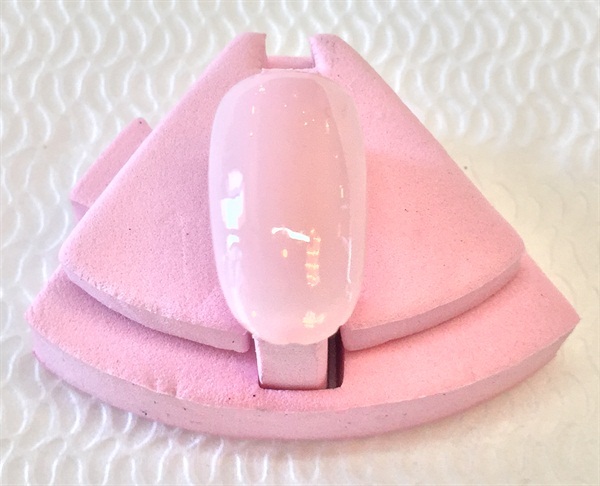 Apply Gelish Glamour Queen to 2/3 of the nails and make a straight French line then cure. 3. Add lace and polka dots. 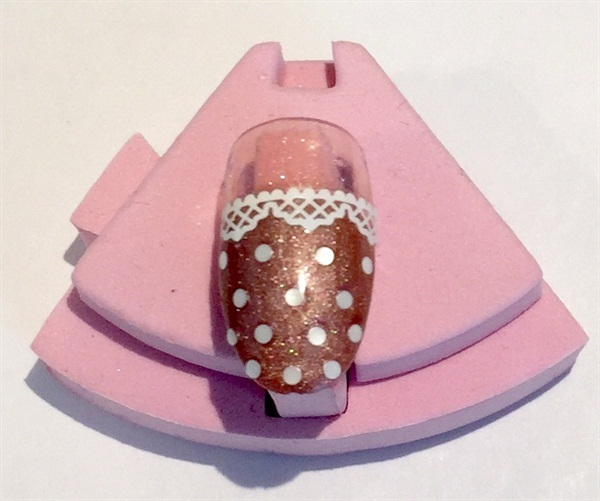 Apply Gelish Structure Gel on top to secure the decal and polka dots, then cure again. Apply the top coat and cure. 4. Wipe off the tacky layer. 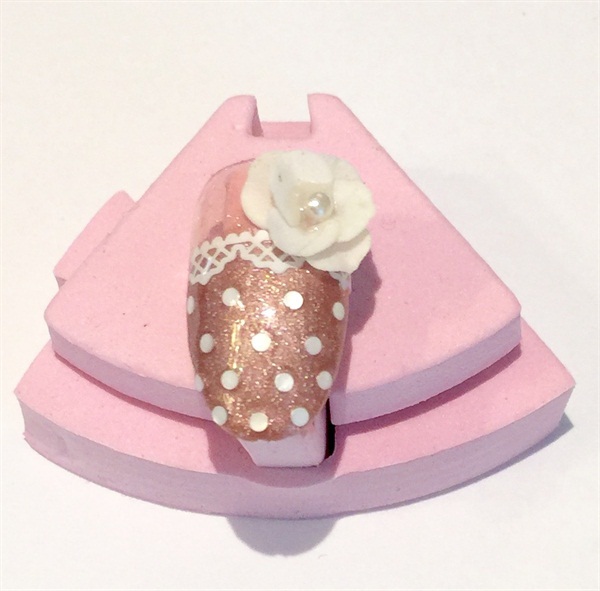 Use Gelish Prohesion Express White to build the 3-D flower and embellish with a pearl for added elegance.